Microsoft's annual technology summit took place at the end of January, and members of the Piksel team went along to find out more about what the Redmond-based giant has in store for 2018. Senior Technical Architect Sam Webster looks at some of the biggest talking points from the two-day conference. You can fit a lot of big ideas into 48 hours. When we left Birmingham's NEC after a packed two days at Microsoft's 2018 Tech Summit, we did so with brains full of thoughts on how some of the new and emerging technologies discussed could shape the way we work in the future. For anyone with even a mild interest in the direction of travel around technology right now, it'll come as little surprise that artificial intelligence (AI) played a huge role in driving the agenda. 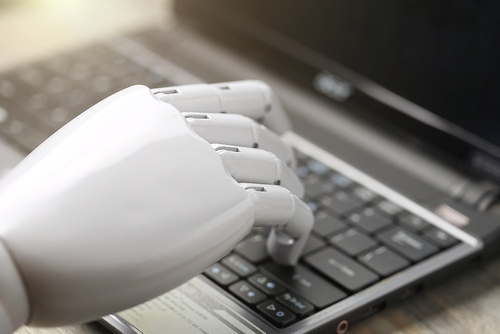 While the various sessions and conference streams covered areas ranging from security to productivity, almost every one of them was underpinned to some degree by AI. You might be working hard, but are you working smart? Microsoft thinks that AI can play a big role in helping you become more productive, primarily by integrating it into its Office 365 platform. MyAnalytics isn't new - in fact it's been around since 2016 - but it is providing increasingly clever ways to help you do more when you're at work. From analysing your meeting schedule and working out if you're spending too much time talking and not enough doing, to providing feedback on how quickly you open emails (perhaps indicating that you're too easily distracted), MyAnalytics looks set to offer a growing range of smart - if slightly spooky - ways of enhancing your effectiveness. The company's Workplace Analytics service can even aggregate that data, providing insight into a company's productivity as a whole and allowing analysts to focus on working practices within specific departments. To be honest, antivirus is probably too small a term to encompass what Microsoft is trying to do here, but since it all starts with Windows Defender, it's close enough. What we heard a lot about was AI-based virus detection and defence, which essentially spots, stops and repairs intrusions and lets you know after the event. When malicious code is detected on a network, Windows Defender will not only be smart enough to work out where it has come from and shut down that vector, it will also perform the technological equivalent of a "controlled burn" around the perimeter of the intrusion, separating the attack from its true target and stopping it dead in its tracks - all without the need for human intervention. Less to do with AI but no less important, one area that Microsoft looks increasingly keen to explore involves new ways of thinking about how employees procure new technology. Previously, getting new tech out to a user (particularly one working remotely or overseas) meant a protracted period of setup by the in-house IT team followed by a wait while the machine was shipped or couriered to the end user. In Microsoft's vision of the future, employees would simply be able to buy a new device locally (from a pre-agreed list of options, of course) and then connect it to their corporate IT network. Based on the user's login credentials, the network would then update the device with everything it needed, from access permissions to software. Cue one secure, up-to-date and corporate-friendly device, delivered at the click of a button. This, of course, is Microsoft's idea of how the future of work could start to look when you throw a helping of artificial intelligence into the mix, and there's no way to know just yet how willingly enterprise will embrace some of those ideas. Whichever way you cut it though, AI looks set to play an increasingly powerful role in our workplace future.